We keep your personal information private and secure.  When you make a purchase from Baitjunkys LLC and Shopbaitjunkys.com, you provide your name, email address, credit card information, address, phone number, and a password. We use this information to process your orders, to keep you updated on your orders and to personalize your shopping experience. To keep you informed about our latest offers, we may notify you of current promotions, specials and new additions to Baitjunkys LLC. and Shopbaitjunkys.com. You may unsubscribe from our newsletters by following the unsubscribe instructions in any email you receive from us. When entering any of our contests or prize drawings, you provide your name, email address and mailing address. If you win, we will send the prize to the address entered and notify you by email. When you enter a contest or drawing you are also included in our newsletter list to receive notice of promotions, specials and new additions to Baitjunkys LLC and Shopbaitjunkys.com. You may unsubscribe from this news list by following the unsubscribe instructions in any email received.